Tension fabric is a rapidly developing medium for the design and construction of permanent and temporary architectural and display structures. TFS Design produces custom tension fabric structures (TFS) to serve the needs of architects, interior designers, exhibit designers and special events producers, as well as the trade show and retail display industries. 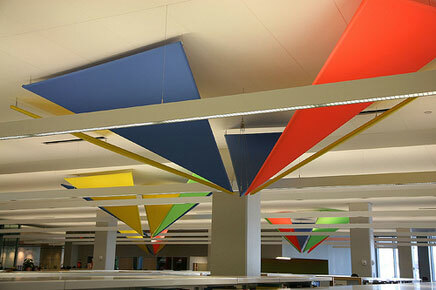 TFS Design is a custom shop dedicated only to textile architecture and tension fabric structures.